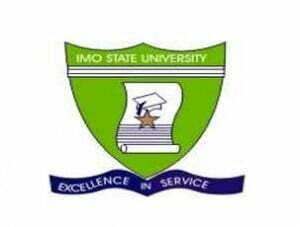 This is to inform the general public and especially those who are still interested in the Imo State University (IMSU) postgraduate diploma and higher degrees (Full-time, part-time and weekend programmes) that the authorities of the institution has announced that the application date has been extended. IMSU postgraduate application for the 2013/2014 academic year has been extended to October 30, 2013. Interested and qualified members can still apply before the closure of IMSU postgraduate application. (Requirements): Prospective candidate must have personal email account and working phone number. Log into www.imsuonline.edu.ng to download and read the prospectus. Candidate starts application by entering the 10-digit PIN obtained from IMSU micro-finance bank to continue the application process. Three copies of reference form. Transcript label to be attached to your transcript and other relevant documents to the Postgraduate School. Candidate gets update from IMSU iCT through e-mail and/or SMS message. Plz…is MOUAU 2nd batch out? @Ifeanyi Okoye, Michael Okpara University of Agriculture, Umudike 2nd batch admission list is not out yet.